Very nice keyboard, feels great! I got a key tester to help decide which color of keys to select, and got Clear because that is what I liked. The keyboard itself is VERY solid - it has heft, which isn't something you expect in a plastic keyboard, and I appreciate that. 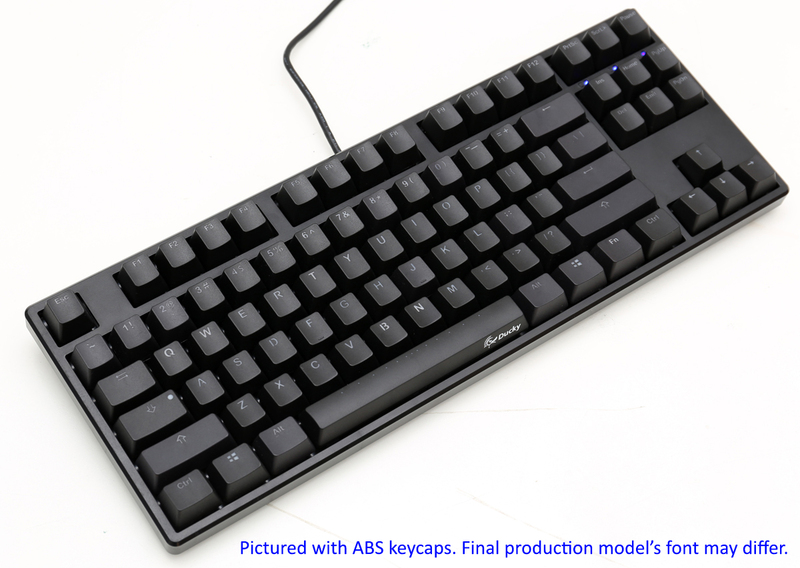 The keys are a little hard to read because they are designed to be backlit, and this model does not come with LEDs - so if you don't have good lighting, spring for the LEDs or get high-contrast keycaps. there is a strange (seemingly hardware) issue with several LEDs being always on (even in the backlight-off mode). I have other mechanical keyboards and this one seems to be the least reliable at the moment. I bought this keyboard a month or so ago for my work macbook pro that i use for software development. I bought it with the cherry browns for something a little more smooth and quieter than the blue switches I have in another mechanical. I love this keyboard so much I ordered another. This time I ordered the RGB version though - just be warned this one does NOT have backlighting - I won't knock it for lack of backlighting because it's not the keyboard's fault, it's my own. Despite no backlit, I absolutely am in love with the keycap feel and positioning, and the brown switches. Great keyboard for its price tag. Quality as expected for plastic. The spacebar and shifts have the same pleasant sound as other keys. And clear switches are what I was looking for, found browns too light. Not much to say that hasn't already been said. Board is plastic but feels just as sturdy, if not more so, than my Das4. Cherry clears feel great as I don't like the low actuation force of the brown/reds for typing. Noise is minimal in an office setting and black caps don't look out of place professionally. 10/10 for me. Really impressed with this keyboard. The construction is extremely solid with no creaking or flex at all. At 2.43 lbs the Ducky One TKL weighs in heavier than the Filco Majestouch 2, KUL ES-87, and the Leopold FC750R. The OEM profile PBT double shot keycaps are the same ones used on Ducky One TKL backlit models. They have the nice "sandy" feel associated with PBT and the top side printing is very subtle. The Cherry MX Brown switches have a nice amount of tactile feedback without the noisy click of Blue switches. I installed 2mm 40A-L o-rings to further dampen the sound when bottoming out since I have a tendency to hit the keys pretty hard. The English translations in the manual could be clearer, particularly the instructions for programming macros, but it can all be deciphered with a little effort. Did a lot of research into various mechanical TKL keyboards before deciding on the Ducky One TKL - definitely pleased with the decision. there is definitely a noticeable difference with the general feeling of it. the pbt keycaps are smooth and nice to touch on. overall its a pretty great keyboard and ducky doesnt disappoint.